My wife and I have had the same vehicles for about 8 years. They are older, dependable cars that have safely gotten our children from point A to point B. We have been… content. Yeah, that’s the word: content. The notion of getting a new vehicle has been on the horizon for us for a while now, but in no real way. We hadn’t had any serious conversations about exactly what we would like to buy. With two children quickly reaching the ages of soccer practices, dance rehearsals and all the carpooling that is involved, we knew we wanted something with plenty of room and third row seating. But that was about it. Other than that, we had no real ideas or inspiration driving (no pun intended!) to make a change any time soon. All that has changed in the past week. 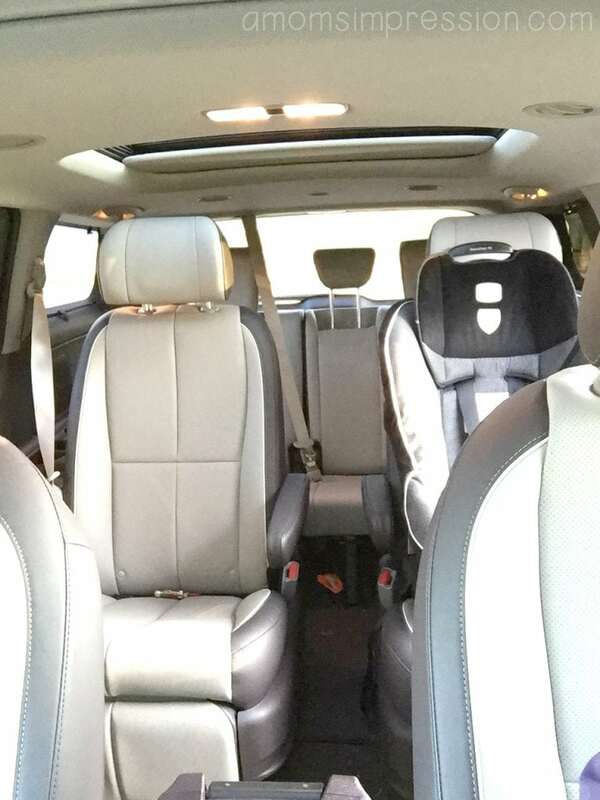 We have been able to drive the 2016 Kia Sedona SXL around town for the past seven days. It has been an experience that has changed the landscape of our conversations about getting a new vehicle. I want to make sure I list all the things that the Sedona had that “wowed” me, but first, to just sum it all up, I’ll just say this: I feel that the folks at Kia got inside the head of every parent and figured out what they could do to make our lives just a little bit easier. Now, first of all, you have to understand how long my wife and I have had our cars. Also, that our cars have no “bells and whistles”. Neither of them even have cruise control! So, please excuse my excitement about some of this stuff. The first thing that struck me as I played with the key fob was the automatic sliding doors on each side of the Sedona. With the press of a button, you can open each sliding door (and the back gate) automatically. This is a huge help for someone who is often carrying a 3-year-old in one hand and a bag of groceries in the other. I would especially love this feature as the weather gets worse here in the Midwest. Now, instead of having to put my groceries or my child down in the snow as I open the door, it will already be open and waiting for me to get my daughter in her car seat as painlessly as possible. The interior had plenty of space for the kids and all of their “stuff”. You would have an abundance of room to take everything you would need for a long road trip, a big bag for baseball practice, etc. The rear row seating was easy to get into for both children and less agile adults. I have seen some third row seating that required you to be a performer with Cirque Du Soleil in order to access it! 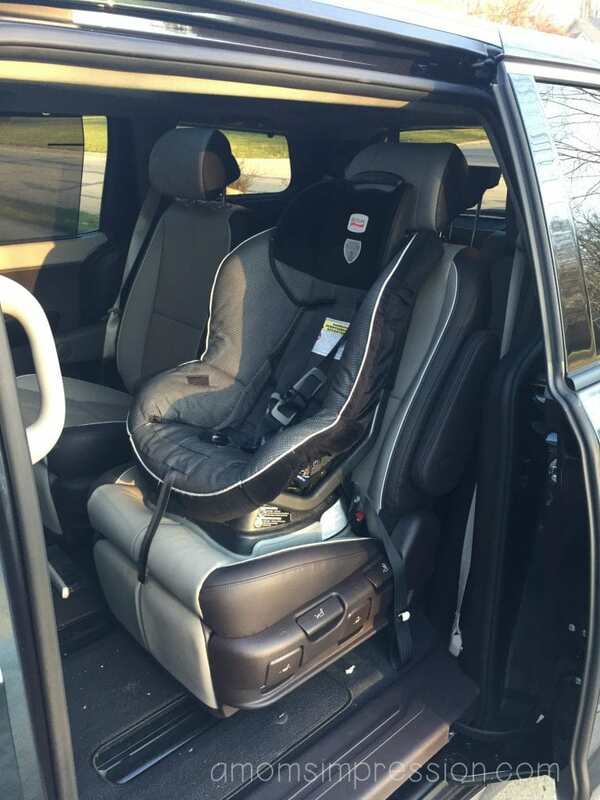 My daughter’s car seat was easy to install and fit securely in the seat. The Sedona SXL was also equipped with the rear seat entertainment system, so the kids can watch movies and shows during long (or short!) trips. 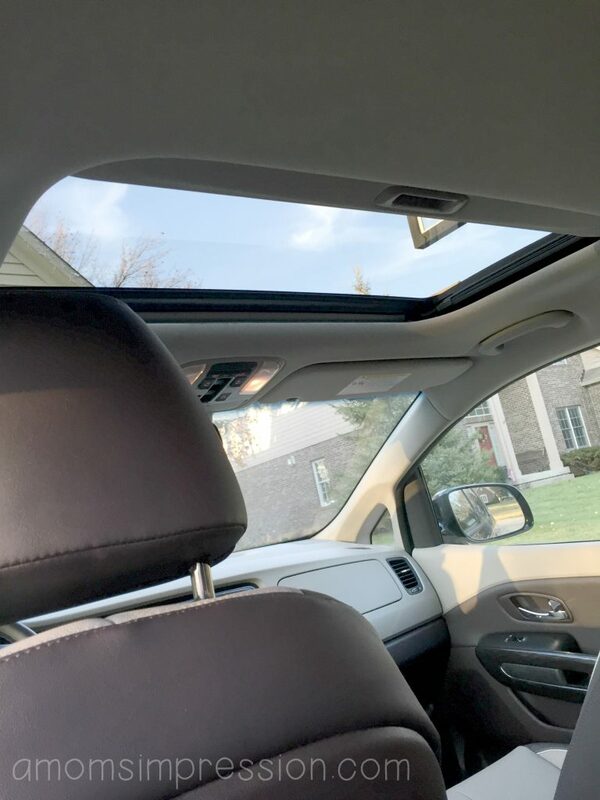 We absolutely loved the fact that the Sedona had two sunroofs. 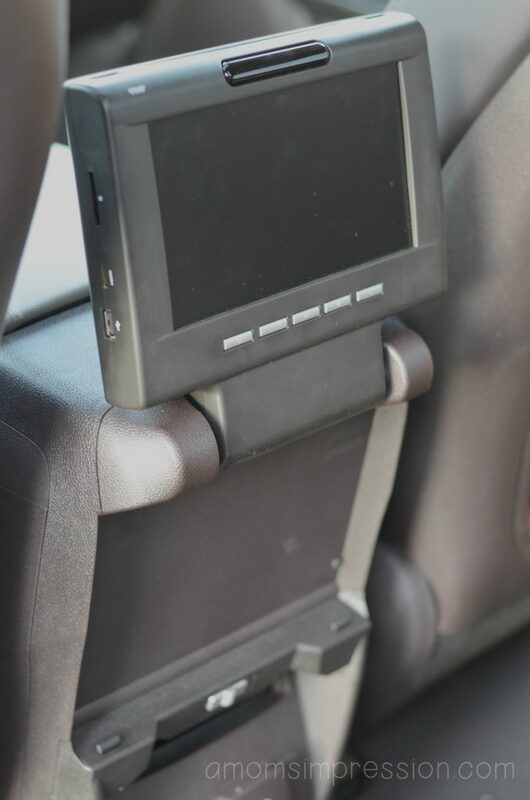 The only drawback to this was that I believe this required them to put the monitor for the entertainment system mounted between the front driver and passenger seats. This isn’t so much an issue for the two children in the second row of seating right behind the front seats, but it may be a problem for younger, smaller kids in the third row seating to be able to see the screen. We had our niece and nephew in the back seats and they had a lot of trouble seeing the monitor. Driving the Sedona was a luxury. I was honestly surprised how well it handled. For a larger vehicle, it felt like I was driving a sedan. It didn’t feel cumbersome or heavy at all. 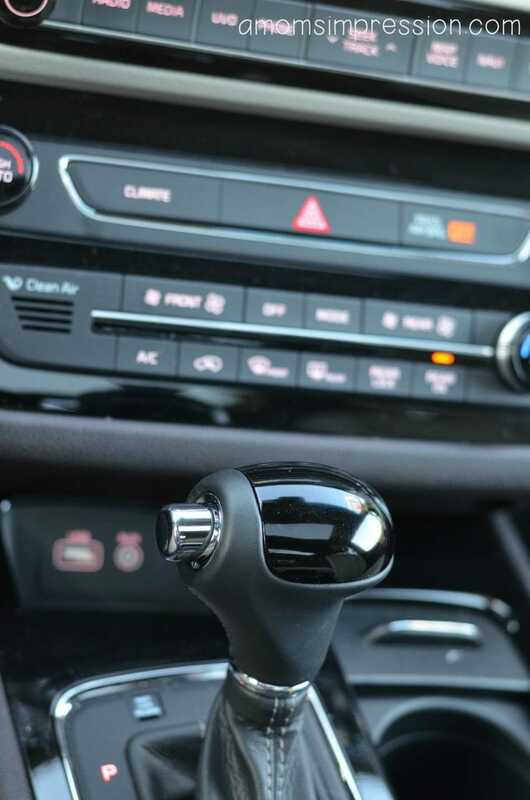 The response to steering and maneuvering was smooth and effortless. The 3.3L DOHC V6 engine was plenty to keep you on pace with traffic in any situation. To put it another way, and I cannot overstate the value in this, I felt like my family was safe in this van. It had both a rear camera and a surround view monitor. This includes a “bird’s eye view” of your car and it’s surroundings. I can’t honestly tell you how exactly it works, but when you are backing up, you not only see what is directly behind you, it appears that there is a camera about 2 feet above your car so you can see what is all around you. It is amazing. My wife thought it was about the coolest thing she had ever seen. It also has a lane departure and forward collision warning system. These features also made me feel a lot safer but were a little paranoid in a highway driving scenario where there are cars merging in an out of lanes. But this is something you can easily turn on and off as needed. It also came complete with a navigations system and SIRIUSXM Satellite radio. The display was easy to read and control and the stereo system sounded amazing with the Infinity Surround Sound System. We were also impressed with the luggage area of the Sedona. It is perfect for grocery shopping and easily fit all of our bags in there in a way that they won’t shift around and fall over. 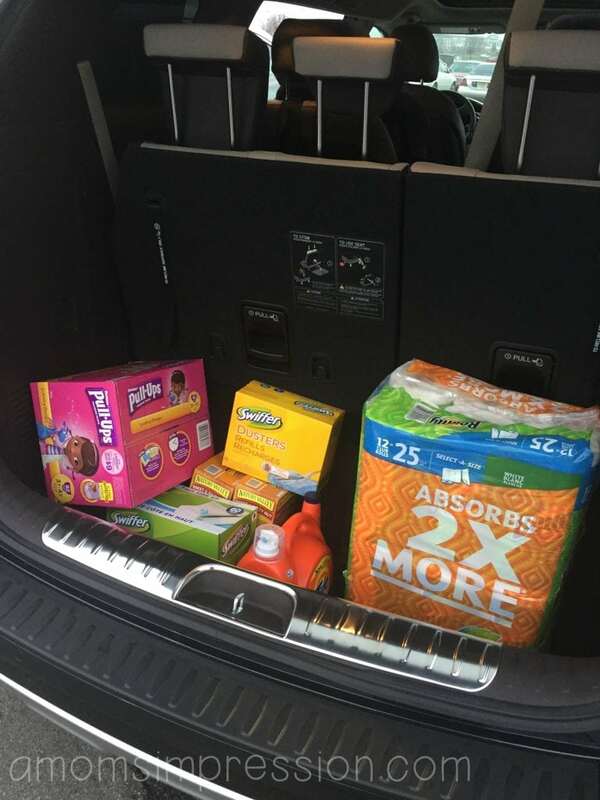 Once again, it is like they got in my head and knew how frustrating it is to open my trunk after a trip to the store to find all my products scattered around! 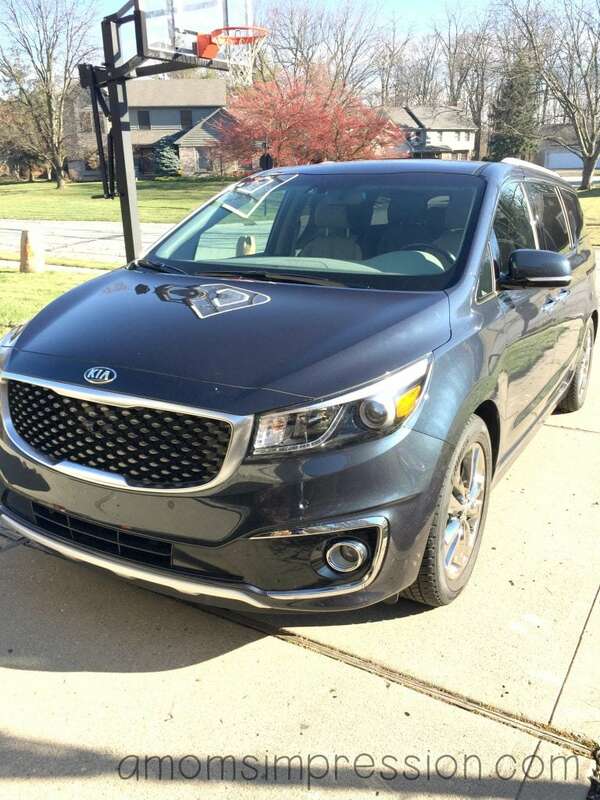 I was secretly hoping that the folks from Kia would forget that they let us borrow the Sedona and that we could just quietly go on driving it forever (or until they offer to let us drive an even new Sedona next year!). But, alas, they came and took it away from us last week and all we are left with is our memories of it and a conversation about what our future vehicle will look like. Thanks to Kia, this conversation has a little more detail in it nowadays. 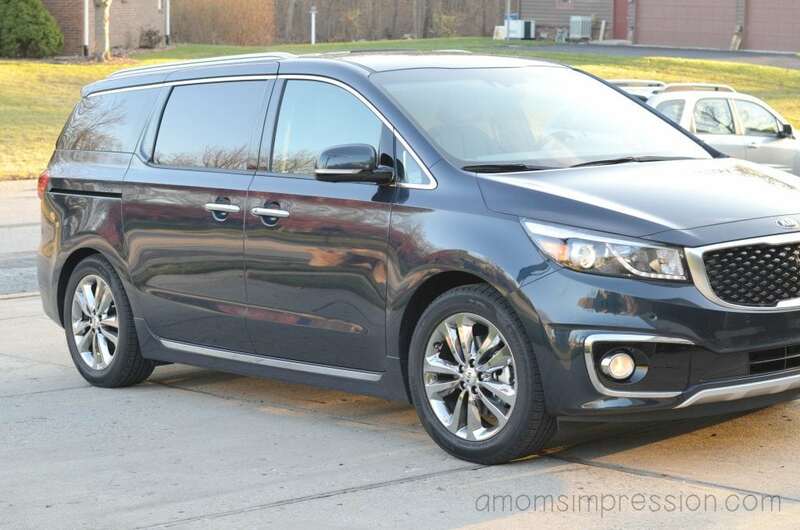 If you are looking for a family-friendly vehicle, the Kia Sedona should be on your shortlist! 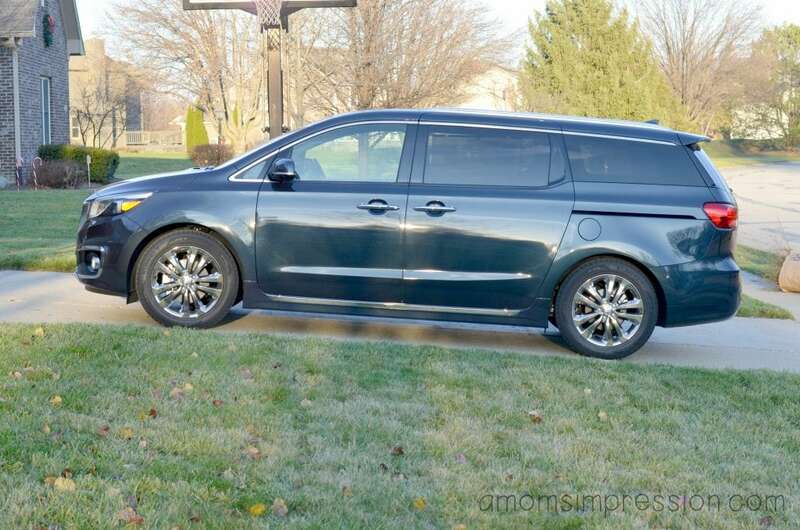 The 2016 Kia Sedona starts at $26,400. A huge thank you to DriveShop for allowing us to test drive the Sedona for a week! « Want a Little Coffee with your Cookies?